If your spidey sense is telling you stringing that clump of cotton into a spooky front porch crypt of cobwebs is going to take 'til next Halloween, believe it. And have a comparative look at the Webcaster trigger-fed cobweb gun. Used in tandem with Webcaster color sticks and an air compressor, this trigger-fed gun was made to spew out Halloween cheer in seconds. 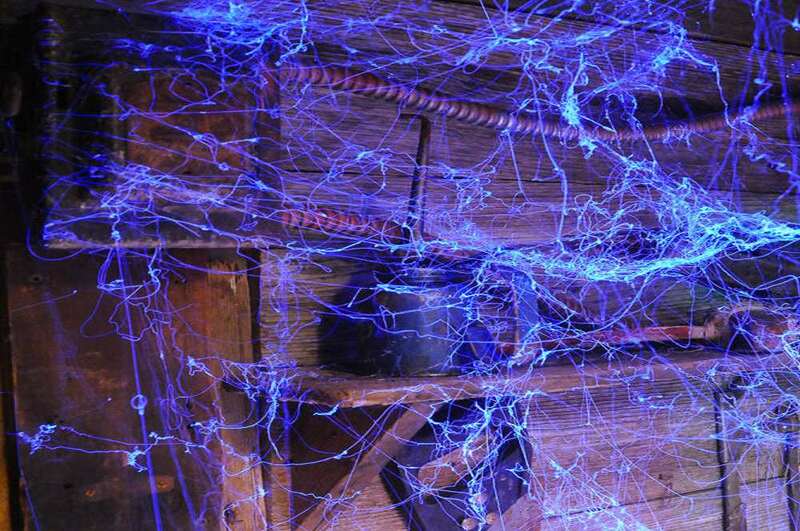 The wax-based sticks that weave the webs come in a few different colors, including ghostly white, witchy black, bloody red, rotten teeth yellow, and radioactive spider glow-in-the-dark. They should tear down and clean up easily on November 1 too because, unlike similar-looking glue sticks, the Webcaster's gun ammo has no adhesives in it, and unlike real cobwebs, the Webcaster's aren't invisible until you walk through and get them all wrapped around your face and in your mouth. 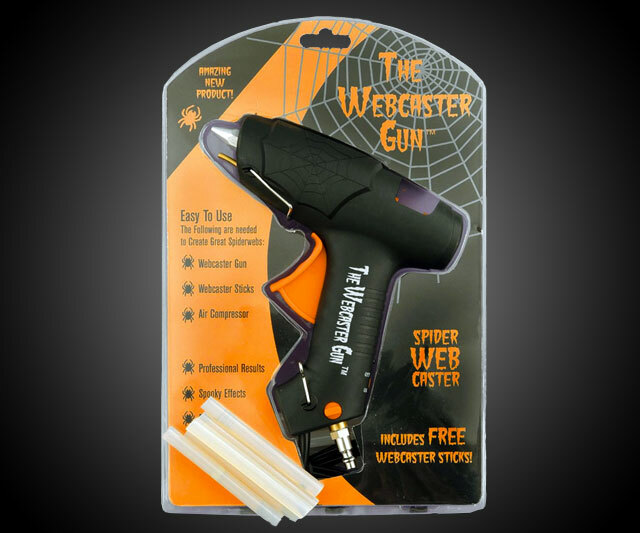 Reviews of the cobweb gun are lukewarm, though there are several solid, thoughtful rundowns of how best to use it, and steps to take to get the results Webcaster promises.